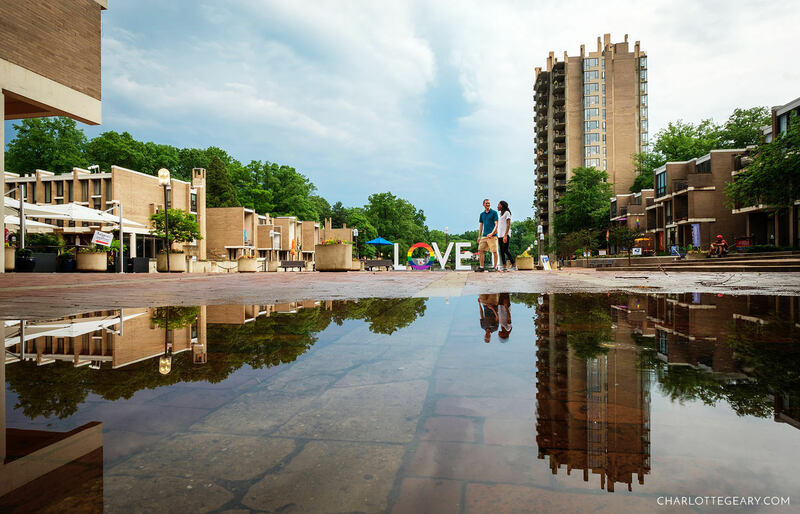 Last year the Virginia tourism board displayed a giant LOVE sign at Lake Anne Plaza, and it’s back! 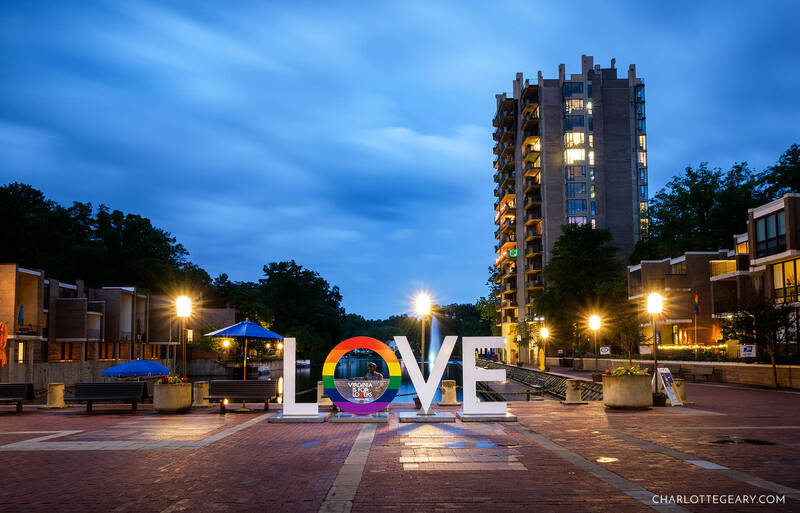 This year’s sign shows some lovely rainbow colors in honor of Pride Month and Reston’s first Pride Fest. I took my tripod to the Plaza one evening to capture the sign at my favorite time of day — just after sunset, when the sky is a vivid blue twilight color. The next day it rained heavily, so I went back to look for reflective puddles, and the Plaza didn’t disappoint. 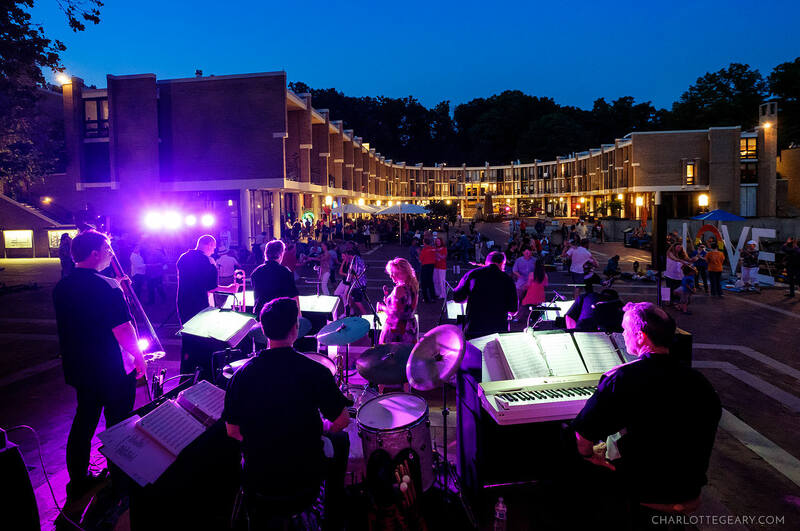 The sign was also a fun backdrop to Thursday’s Take a Break concert and swing dance night. You have to look closely to find the sign in this photo, but I never need much of a reason to photograph this view. The sign sums up my feelings about this place pretty well.